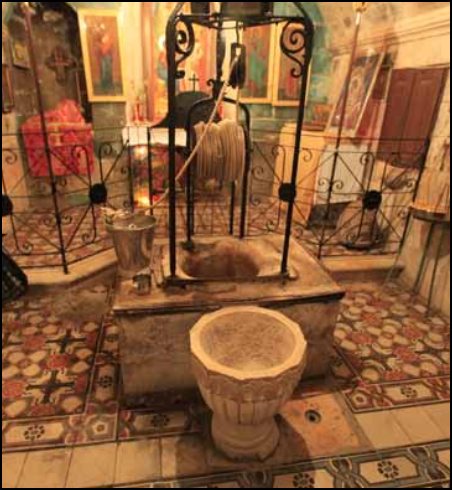 The Text of the Gospels: John 4:17 - Prefer the Shorter Reading, Unless . . .
John 4:17 - Prefer the Shorter Reading, Unless . . .
That, at least, is the text that is found in the vast majority of Greek manuscripts of the Gospel of John, and in most editions of the Nestle-Aland Novum Testamentum Graece. In the 26th, 27th, and 28th editions, though, the word αὐτῷ (“to him”) appears after εἶπεν (supported by Papyrus 66, Papyrus 75, and by B, C, N, et al). Nevertheless several modern versions – including the CSB, NIV, NLT, and NASB – do not show any sign that αὐτῷ is in their base-text. Another interesting feature, with interesting implications, appears in the text of John 4:17 in Papyrus 75. The copyist of P75, it is alleged, was meticulous and precise. Yet in this verse the copyist wrote λεγει instead of εἶπεν – an arbitrary change, since both words mean the same thing. This hurts the theory that the copyists of the early Alexandrian transmission-stream were immune from the temptation to attempt to “improve” the text. The copyist of P75, however, was a model of discipline compared to the copyist or copyists responsible for the text that was written in Codex Sinaiticus (ﬡ). In the text that was written by the main copyist in Codex Sinaiticus, the copyist apparently considered the words “καὶ εἶπεν” (“and said”) to be superfluous, and left them out. Next, we see in ﬡ (and in Codices C*, D and L) a change in the order of the three words in the woman’s response: Ἄνδρα οῦκ ἔχω rather than Οὐκ ἔχω ἄνδρα. What elicited this change? Probably not scribal piety, as if the copyists thought that the woman’s words should be conformed to Jesus’ response later in the verse, for in ﬡ and D, Jesus’ words are altered to Ἄνδρα οῦκ ἔχεις and thus there is no close conformity. A more likely explanation is that this reading originated earlier in the Western transmission-stream, and was an attempt to simplify the Greek text for readers whose first language was Latin. Papyrus 75 reads λεγει instead of εἶπεν. Codex B* reads εἶπες instead of εἶπας. Codex ﬡ* omits καὶ εἶπεν αὐτῷ, reverses the word-order of the woman’s words to Ἄνδρα οῦκ ἔχω, reads εἶπες instead of εἶπας, and changes the last word of the verse to ἔχεις. Codex ﬡ’s corrector added καὶ εἶπεν (without αὐτῷ). Codex C* changes the word-order of the woman’s words to Ἄνδρα οῦκ ἔχω. 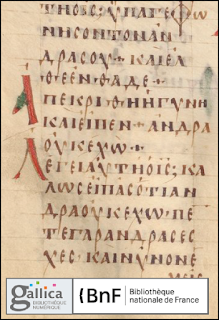 Codex D does not include αὐτῷ, changes the word-order of the woman’s words to Ἄνδρα οῦκ ἔχω, and changes the last word of the verse to ἔχεις. Codex L does not include αὐτῷ, and changes the word-order of the woman’s words to Ἄνδρα οῦκ ἔχω. Codex W (in a supplemental portion) does not include αὐτῷ. Thus, it appears that only one manuscript – Papyrus 66 – agrees with the Nestle-Aland compilation letter-for-letter throughout the entire verse, without corrections. A question about probability seems appropriate: how likely is it that in two short and uncomplicated sentences, only one extant manuscript would preserve the original text? 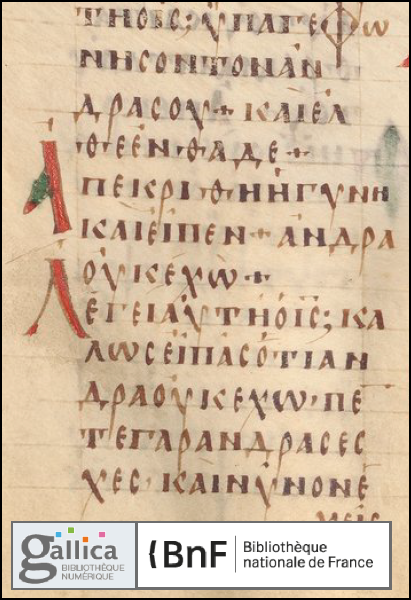 p66 has such a wild text--on average, a mistake in every verse--it's inconceivable that it alone could retain the original reading here, even against other 3rd and 4th century mss. You describe this so perfectly. This is a critical matter that everybody doesn’t cares about and a lot of research work has to be done before compiling and writing it. Thank you for this. God bless you.